Kristine Hurst-Wajszczuk has served on the board of Wisconsin NATS, as Alabama NATS Governor, and in 2007 founded the first student NATS group in Alabama (SNATS at UAB). She has served as their advisor for a decade. Most recently, she has served as NATS Vice President for Workshops. Recent workshops under her leadership include Sing the Body Electric in San Diego, and Legacy of Excellence in Boulder, Colorado. The soprano was featured in the title role of the 2015 production Dido & Aeneas with Bourbon Baroque, Louisville’s period instrument ensemble. She recently appeared in Cavalli’s Erismena with the Amherst Early Music Festival. Other engagements include the Boulder Bach Festival, the Alabama Symphony, the Tuscaloosa Symphony, and two appearances with Opera Birmingham in 2017. She performed for composer Bill Mayer’s 70th birthday celebration concert in Carnegie’s Weill Recital Hall in the role of Madeline in the composer’s The Eve of St. Agnes. In 2002, she was a regional finalist in the National Association of Teachers of Singing Artist Award competition; in 2006, she appeared on a Wisconsin Public’s Radio broadcast of Live from the Chazen Museum. An active recitalist dedicated to performing works by living composers, celebrated composer Lori Laitman composed The Secret Exit for her and clarinetist Denise Gainey, which will receive its world premiere in 2018. The soprano also appeared with the Birmingham Art Music Alliance (BAMA) in a premiere of songs by Craig Biondi. Additional American premieres include theatre songs by composer Zeke Hecker, songs by Steven Mercurio, and performances and recordings of music by David Hogg. Recitals have taken her throughout the United States and Italy. Upcoming engagements include recitals throughout the southeastern United States and Belgium. A specialist in the lute songs of John Dowland, her solo CD of the lute songs of John Dowland was released in 2008 by Centaur. She has performed and lectured throughout North America on the socio-political intrigue surrounding the songs. An avid student of several languages, she has won several grants to study at the Middlebury College German for Singers program and for private study in Vienna, Austria. In 2010, she was a fellow at the Early Music Vancouver “Compleat Singer Programme.” In 2013-14, she was a Fulbright finalist, and was invited to teach at the Konservatorium Wien Privatuniversität (the Vienna Conservatory, now known as Musik und Kunst, Privatuniversität der Stadt Wien). Her research interest in managing performance anxiety has expanded to wellness for students of all majors. Her courses in Wellbeing for Musicians and The Mindful Student in the Honors College at UAB have met with resounding success, and a book is forthcoming. She is currently completing certification as a Koru teacher, a type of mindfulness meditation developed by Duke University for emerging adults. She has volunteered with organizations serving at-risk children in urban Birmingham by teaching them meditation techniques to manage stress. 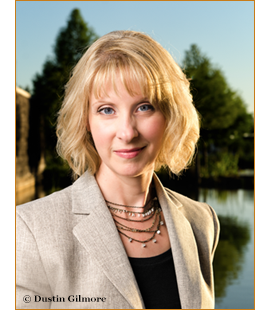 Dr. Hurst-Wajszczuk is Associate Professor of Voice and Director of Opera at the University of Alabama at Birmingham. For more information, please visit www.kristinehurst.com.